If I was a truly clever individual, I’d come up with some way to make cookies into a profound metaphor for life. I am not clever. Life is hard. Cookies are tasty. I guess life is always changing, but cookies always stay the same, and that’s a good thing. No matter what kind of day you’ve had, what kind of bad news has been dropped in your lap, or how spiteful your uterus might be, cookies are always delicious. 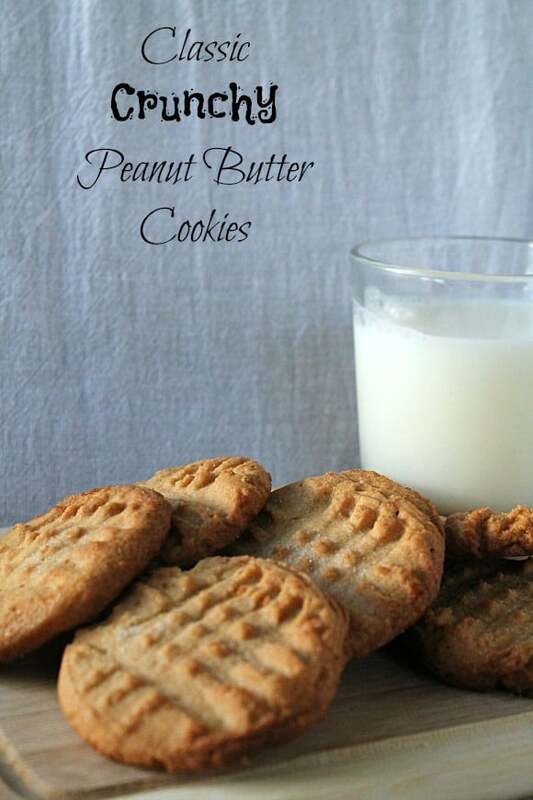 Normally I’m a chewy cookie kind of girl, but these peanut butter cookies are both crunchy and delicious. 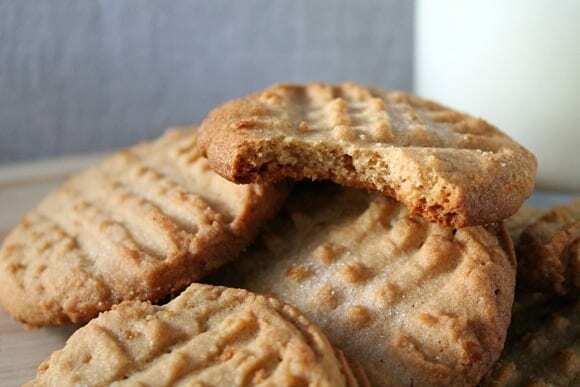 I love their intense peanut butteriness. My I think the average was about six cookies for everybody who tried these. It’s really hard not to go back for another taste. There’s nothing tricky or flashy here. 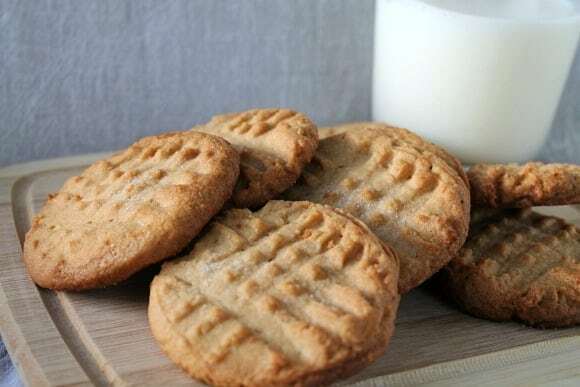 Just pure peanut butter goodness. Sometimes simple is awesome. In a small bowl, combine flour,baking soda, and salt. Set aside. In a large mixing bowl, beat together butter, sugar, and brown sugar with an electric mixer on medium speed. Let it mix for about three minutes. Turn the mixer to low and mix in the vegetable oil and peanut butter, then add the eggs one at a time, followed by the vanilla. Finally, mix in the dry ingredients until combined. Place the dough in the refrigerator to chill for half an hour. Scoop out the cookie dough in ping pong ball scoops leaving a couple of inches between each one. Gently flatten the cookie dough with a fork in a criss cross pattern and bake for about 17 minutes. Allow the cookies to cool for three minutes on the cookie sheet then transfer to a wire rack to cool.